In the first two books of the Compassion Series, author Tim Huff looked at homelessness and the disabled. 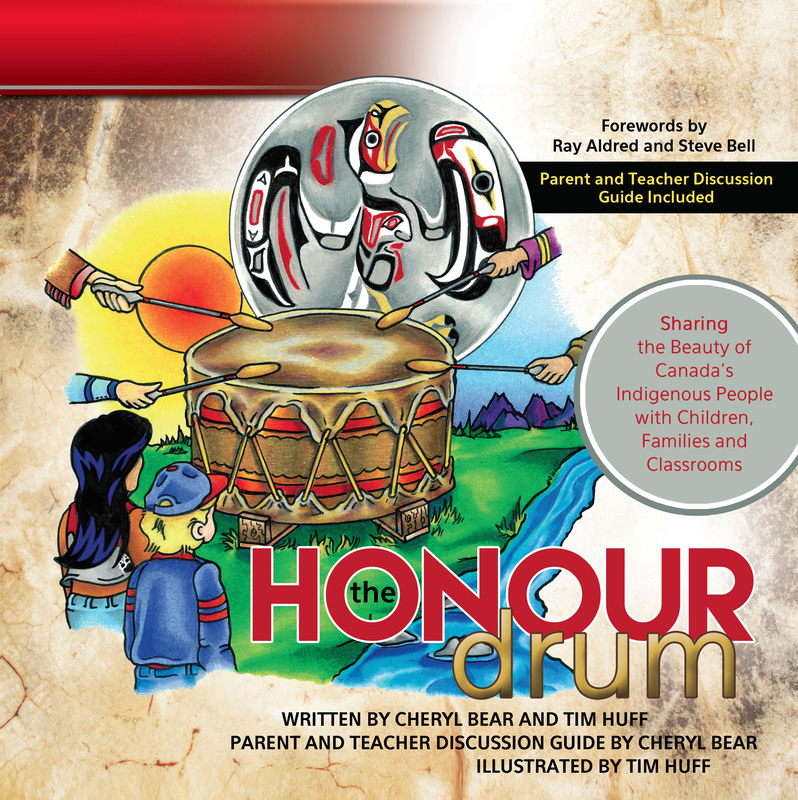 The third book in the series, The Honour Drum, explores Indigenous peoples’ issues and was co-authored with speaker, teacher and singer/songwriter Cheryl Bear. The Honour Drum hits shelves at a critical time in the relationship between Canada’s Indigenous and non-Indigenous people. The Honour Drum hits shelves at a critical time in the relationship between Canada’s Indigenous and non-Indigenous peoples. Events over the past few years – the report of the Truth and Reconciliation Commission, the establishment of the inquiry into missing and murdered Indigenous women and a renewed focus, thanks in part to Gord Downie of the Tragically Hip, on the residential school abuse and runaways issues – have brought the themes presented in The Honour Drum to the forefront of Canadians’ minds. While classified and promoted as a children’s book, The Honour Drum reaches people of all ages. As Bear and Huff explain in a note to parents and teachers, the book can be approached on a number of levels. An initial reading of the rhyming stanza, accompanied by Huff’s inspired illustrations, introduces the book’s content and themes. An understanding of the book’s themes is enhanced by the discussion guide and questions which provide depth and context to each stanza. For example, in the discussion guide accompanying the stanza “Pow Wow is a time to gather and meet/To sing and remember, to dance and to eat” readers discover that pow wows are “a time for the communities to gather, sing, dance, socialize and honour and celebrate their cultures.” Discussion questions ask readers What kind of “all are welcome” celebrations they’ve been to. The Honour Drum is an important and integral book for those Canadians grappling with the issues it raises. As Christians it’s even more important because past actions of those associated with the church have been the source of some of the hurt that needs healing. As I read The Honour Drum and thought about the themes it raised, I became more and more convinced of God’s hand in its collaboration and timing. Everyone, whether they have children or not, needs to read, study and meditate on The Honour Drum with this question in mind: what is God calling me to do? Normally, I don’t review a book until I’ve finished reading it. But because of the subject matter, and time of year, I’ve decided to make an exception for Tim Huff’s The Yuletide Factor. For close to three decades, Huff has ministered to, and been ministered by, street-involved youth and adults and has become one of the Canadian Church’s leading resources on poverty and homelessness. Huff is also a musician (performing with the band Outrider) and an artist whose work has graced the pages of the Compassion series of children’s books The Cardboard Shack Beneath the Bridge, It’s Hard Not to Stare, and the forthcoming The Honour Drum (co-authored by Cheryl Bear). 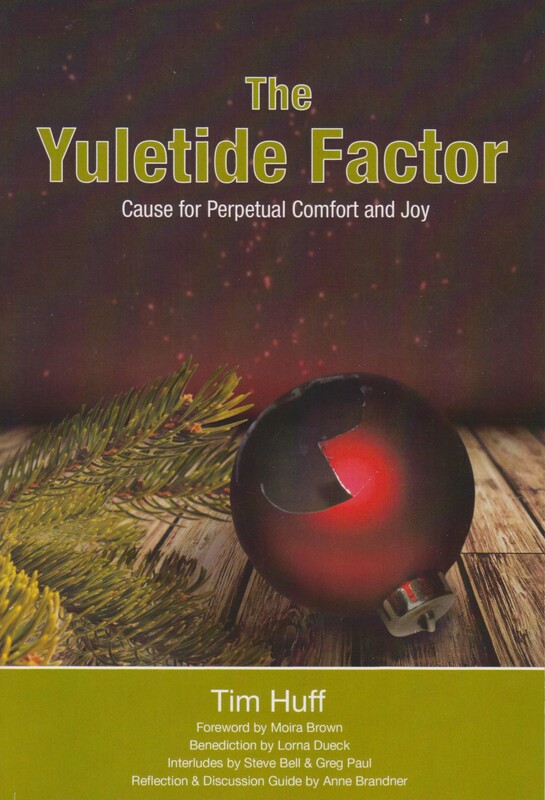 The Yuletide Factor is the third in a series of books that Huff has written about his experiences in street ministry: Bent Hope: A Street Journal and Dancing with Dynamite: Celebrating Against the Odds. Each of these books have introduced us to a number of people that have been touched by Huff’s care and compassion as he shares in their physical, emotional and spiritual needs. They also tell how these people, in spite of their own struggles with poverty, homelessness or sexual exploitation, have touched Huff’s own life. His latest book, The Yuletide Factor, touches on many of the same themes while, at the same time, noting the parallels between those themes and the Christmas narrative…whether the traditional Scriptural account of Jesus’ birth or the cultural stories that have become so much a part of North American Christmas tradition. His re-telling of how his annual stint as a Christmas Eve Santa for friends and family takes a poignant turn in a nearly-empty laundromat. His tale about spending his teenage years years selling Christmas trees, leading to a new appreciation for retail workers during the Christmas season. The memory of a Kindergarten craft for Christmas reminds him, and the reader, about one of the most down-to-earth needs of those living on the street. As with Bent Hope and Dancing With Dynamite Huff has collaborated with other voices who share in his compassion and care for those in need. Television personalities Moira Brown and Lorna Dueck bookend The Yuletide Factor with their foreward and benediction. Singer/songwriter Steve Bell and Greg Paul (pastor and founder of Sanctuary Ministries) provide interludes to Huff’s narrative. And, after finding out that his previous two books were being used for study and discussion, Huff asked Ann Brandner to provide a reflection and discussion guide for each chapter. Huff has the ability to write about crucial issues with care, compassion and, in some instances, humour…without laying on the guilt. But his stories do carry a sense of urgency and need, leaving many readers wondering if they are part of the problem and asking how they can become part of the solution. The Yuletide Factor will have you looking at Christmas in an entirely different way. Maybe that’s why the book has been subtitled: Cause for Perpetual Comfort and Joy.